Announcement Hi, welcome to Noble Dress Shop ! Noble Dress propose all of unique quality dresses sewn with a sewing machine, all finishes are handmade. Used cotton lace, and satin ribbon or silk ribbons. I don't use poor quality lace, prefer the beauty of cotton and lace vintage. 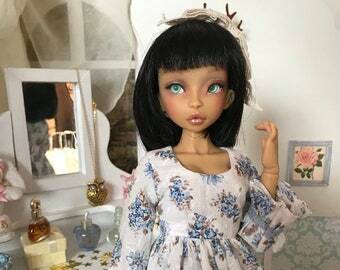 Dresses are made to exactly measure of the dolls, please read the terms before purchase, you must make sure that the dress can be fit on your doll. Clothing prices agreed for the material, I do not take the time past on each dress or accessory. The shipping price includes postage and packing (wrapping, sticker, protective pouch) costs. Please carefully read the conditions before buying, I don't accept refund after purchase and after you receive the object. Hi, welcome to Noble Dress Shop ! Ein super süßes und wundervoll verarbeitetes Kleid, es ist toll! Robe parfaite, envoi rapide merci! 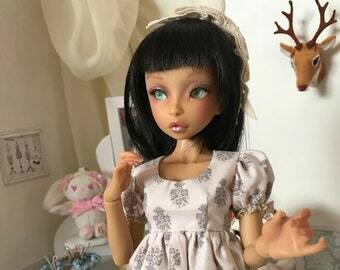 Noble Dress is affiliate to Noble Dolls was created in 2007. It's a shop concerning BJD clothes and accessories. Noble Dolls est protégé par <a href="http://www.copyrightfrance.com/phtml/copyright.php">Copyright</a> auprès de Copyright France.